Phil and Jane, his wife-to-be are struggling to open their bed and breakfast. The inspector is due any moment. 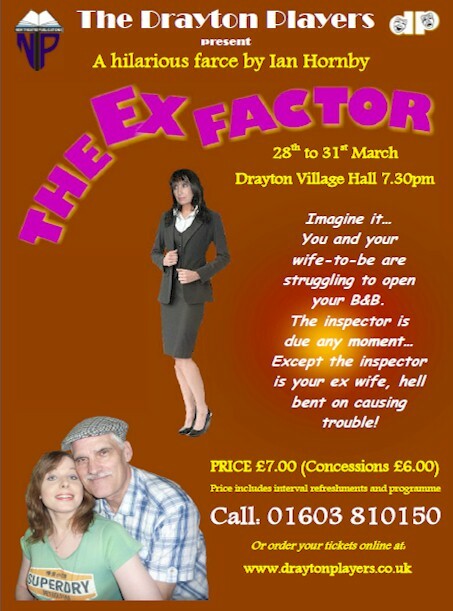 Except the inspector is Phil’s ex-wife Felicity, and there never was any love lost between the two women. There’s a rumour that Felicity’s latest beau used to be a Chippendale - not good when your first guests - two matronly women - are also due to arrive. And the place is almost - but not quite - finished, the rising wind threatening to blow the roof off the barn. The stage is set for misunderstandings, jealousy, women at war and even a burglary. That all-pervading scent of the farmyard doesn’t help either.